JJB Entertainment is known for providing high-end Disc Jockey entertainment throughout the state of Wisconsin and Northern Illinois. Jake Beard is the owner of JJB Entertainment he has built a solid reputation by doing more than ‘just hitting play.’ As Wisconsin’s premiere Disc Jockey and Master of Ceremonies, he will work endlessly to assist you in turning your special day into a memorable event. Whether it is a wedding, prom, birthday, anniversary, or corporate party your special occasion deserves the best DJ entertainment. For this reason he will work together with you to design a customized package that suits your needs. He will do his very best to ensure that your celebration is a success. Thank you for considering the services JJB Entertainment can provide for your party. We encourage you to browse the website and to consider what is important to you when hiring a Wisconsin Disc Jockey. 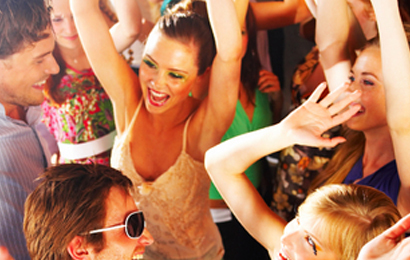 Your investment in the right entertainment company can be the secret to a great celebration. If, and when you are ready, please use the Contact Form to inform us of your event. We will do our very best to ensure that all inquiries are responded to in a timely manner. If you would like to speak with Jammin' Jake directly, please feel free to contact him by phone at (608) 393-2526. We look forward to working with you!